The average amount claimed through the instant asset write-off more than doubled in the 2015-16 financial year, according to the ATO’s latest data. 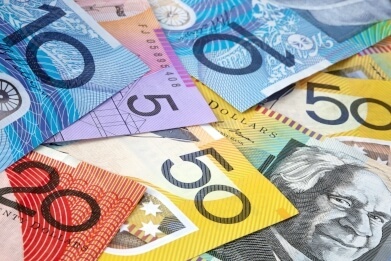 Minister for Small Business Michael McCormack said that up to 300,000 small businesses took advantage of the $20,000 instant asset write-off in 2015-16, helping to improve cash flow for business owners. “In 2015-16, the number of claims increased by 50,550 and the average amount claimed increased by $4,065 to $9,000,” Mr McCormack said. “This means more money in the pockets of small businesses so they can grow their businesses, employ workers and pay them more. The instant asset write-off threshold was increased to $20,000 in 2015, and was extended to 30 June 2018 earlier this year. Small businesses with an annual turnover of less than $10 million can access the concession, up from $2 million in previous years. “Small business is a major contributor to our economy and employs almost half of our workforce. Creating the right conditions for the sector to thrive will create local jobs, build communities and continue to grow the economy,” said Mr McCormack. Mr McCormack has yet to indicate if the instant asset write-off will be further extended despite calls from small business owners to make the concession permanent. MYOB chief executive Tim Reed said their latest Business Monitor Survey of over 1,000 SME owners found that keeping the instant asset tax write-off was top of mind for them. “SMEs have consistently called for the government’s $20,000 instant asset tax write-off to be made permanent, and support for this measure continues to grow in our latest survey,” Mr Reed said.